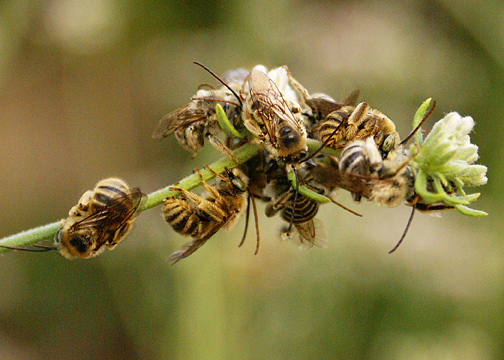 Male long-horned bees sleep in groups. Photo by Debbie Ballentine. European honeybees were my first insect love affair at the age of 8. They don’t have big brains, but they communicate with each other and work towards a common cause. This seemed otherworldly to me as a young girl. Over time native bees and pollinators took the place of honeybees in my heart. (Sorry Apis mellifera, I was only 8.) I’m far from an expert, yet I delight in these pollinators. This drives me to learn and share what I learn.